While some children can’t wait to have their braces fitted, others worry that they won’t feel or look good. At One Smile Oral Care, we advise parents to bring their children to the dentist early on, since structural tooth problems can develop into more serious conditions as they age. After all, it’s better to be safe than sorry. As parents, it’s natural to have concerns of your own about braces in Kings Hill and how your children will adapt to them. To learn more, book a consultation appointment and don’t be shy with your questions. 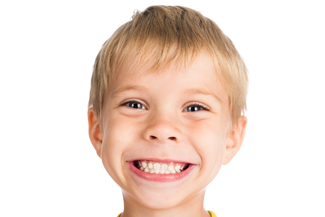 Here’s a basic introduction to children and braces in Kings Hill. Children may need braces for a number of reasons – whether genetic or other. If you suspect that your children have crooked, overcrowded, overlapping or gapped teeth, then it’s time to pay a visit to the dentist. A lot of children may also need braces to fix jaw problems. For instance, when the upper jaw is bigger than the lower jaw, problems with chewing and speaking can occur. Tooth and jaw problems are caused by baby bottle tooth decay, accidents or bad habits such as thumb sucking. However, some children may be genetically predisposed to certain alignment and bite problems. Whatever the problem, chances are that braces can help fix it. The earlier your child starts a teeth straightening treatment with braces in Kings Hill, the better, since their teeth are constantly developing and it’s easier to manoeuvre their jaw into its correct position. During a teeth alignment consultation, the dentist will examine your child’s teeth, mouth and jaw thoroughly to determine whether there is a problem. The dentist may take x-rays to see the extent of the problem, or may even take impressions of your children’s teeth. These examinations will help them determine what’s the best course of treatment for their misaligned teeth and/or dispositioned bites. Metal braces can correct so many types of problem and they are usually the best option for young children and teenagers. How long your child will need to wear them depends on their individual problem and your dentist’s recommendation. This entry was posted in Braces on 23rd January, 2019 by One Smile Oral Care.